So David went, he and the six hundred men who were with him, and came to the Brook Besor, where those stayed who were left behind. 10 But David pursued, he and four hundred men; for two hundred stayed behind, who were so weary that they could not cross the Brook Besor (1 Sam. 30:9-10). Brook Besor. Map by BibleAtlas.org. 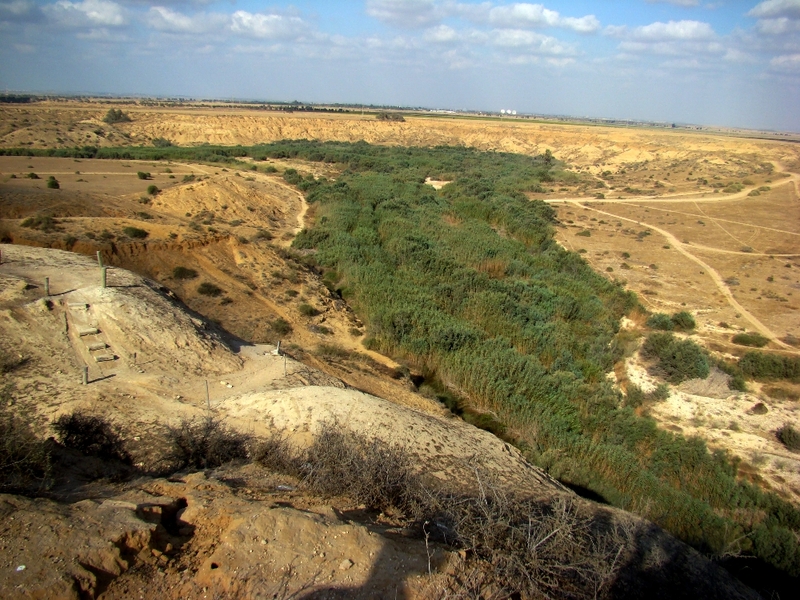 The Brook Besor, mentioned in the text, has been identified as Wâdī Ghazzleh, and empties into the Mediterranean south of Gaza. Bridge crossing the Besor. Photo by Leon Mauldin. The brook is mostly filled with reeds. Brook Besor. View from bridge. Photo by Leon Mauldin. Here is a view from the tel at Besor. 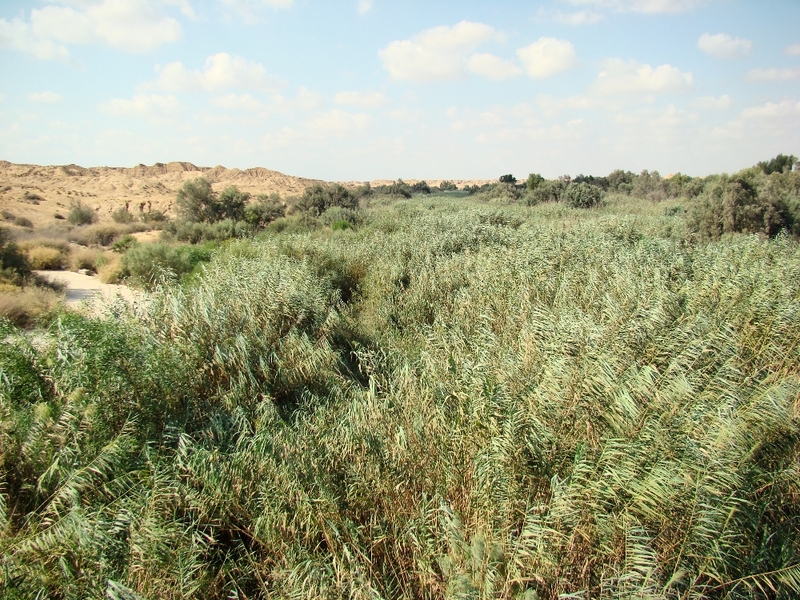 The green vegetation in a desert area is always an indication of water. Besor. View from tel. Photo by Leon Mauldin. Now David came to the two hundred men who had been so weary that they could not follow David, whom they also had made to stay at the Brook Besor. So they went out to meet David and to meet the people who were with him. And when David came near the people, he greeted them. 22 Then all the wicked and worthless men of those who went with David answered and said, “Because they did not go with us, we will not give them any of the spoil that we have recovered, except for every man’s wife and children, that they may lead them away and depart.” 23 But David said, “My brethren, you shall not do so with what the LORD has given us, who has preserved us and delivered into our hand the troop that came against us. 24 “For who will heed you in this matter? But as his part is who goes down to the battle, so shall his part be who stays by the supplies; they shall share alike.” 25 So it was, from that day forward; he made it a statute and an ordinance for Israel to this day (1 Sam. 30:21-25). 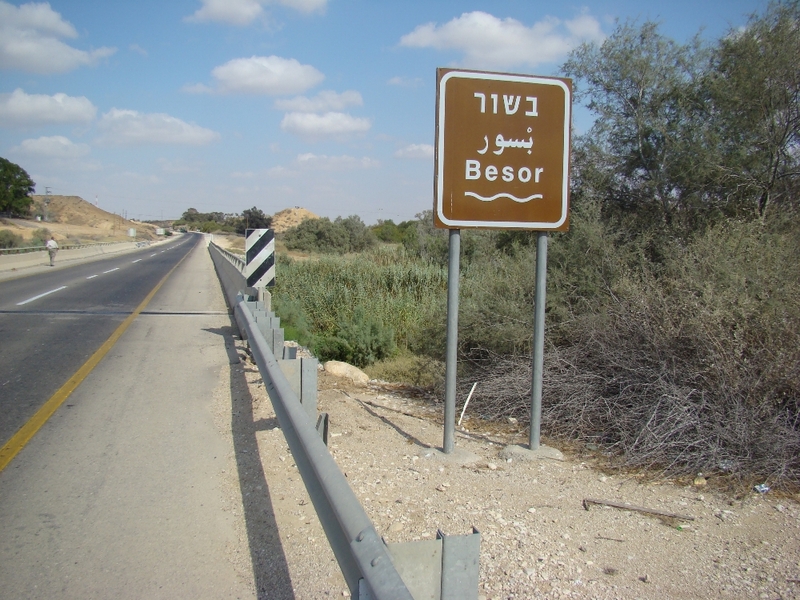 It is exciting as well as educational to see such landmarks as the Brook Besor that are mentioned in the biblical text. 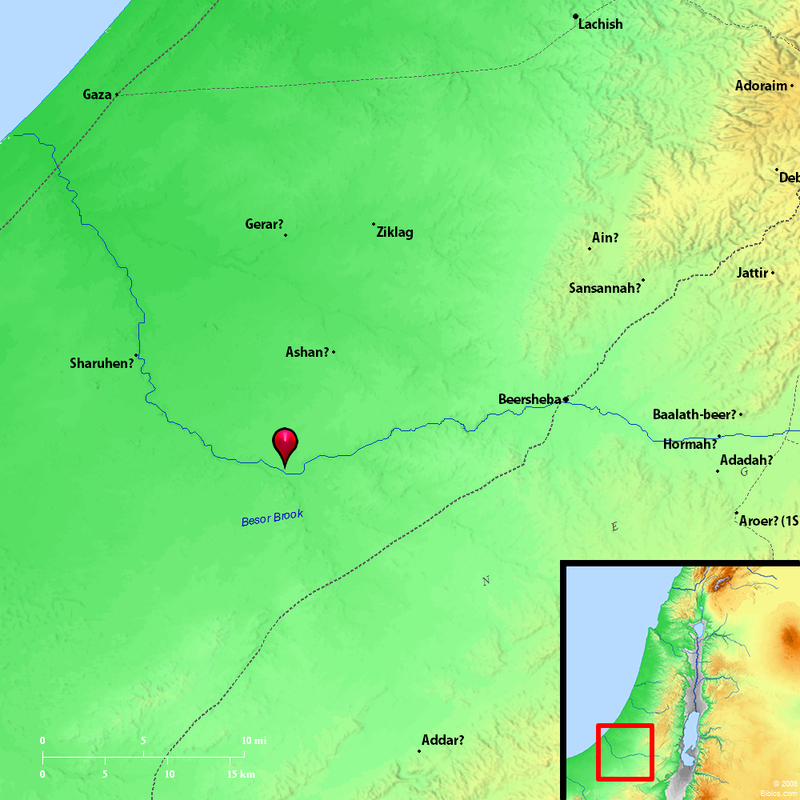 This entry was posted on Tuesday, June 9th, 2015 at 10:11 AM and is filed under Bible History and Geography, Bible Study, Israel, Old Testament, photography, Travel. You can follow any responses to this entry through the RSS 2.0 feed. You can leave a response, or trackback from your own site.